As perhaps the most delicious holiday of the year, National Donut Day is a hole lot of fun. Whether you like glaze, sprinkles or peanuts, we’ve got you covered for some of the freshest local donut hot spots in town to enjoy this sweet holiday. 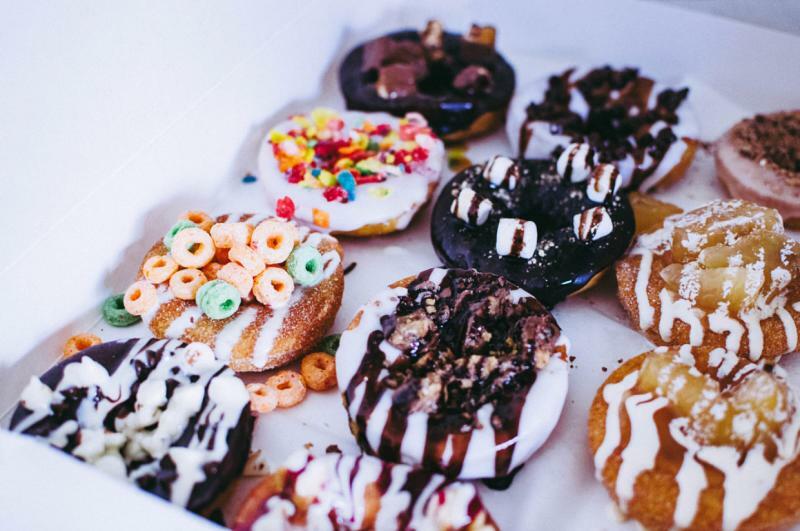 While there are many great places to choose from around our coastal city, including staples like Dunkin&apos; Donuts at the Virginia Beach Oceanfront, here are a few of our favorite donut shops and donuts to help you celebrate the occasion. The cake donuts at Amazing Glazed are always fresh, moist and made to order. Pick from a range of icings, including cream cheese, marshmallow, and orange, toppings like sea salt or Bavarian cream, and drizzles such as honey or peanut butter. With so many options to pick from, the flavor combinations here are endless. Their donuts are the only item coming fresh from the kitchens of Amazing Glazed, either. With frozen custard, sorbet and gelato made fresh daily, this place has endless options to cure that nagging sweet tooth. 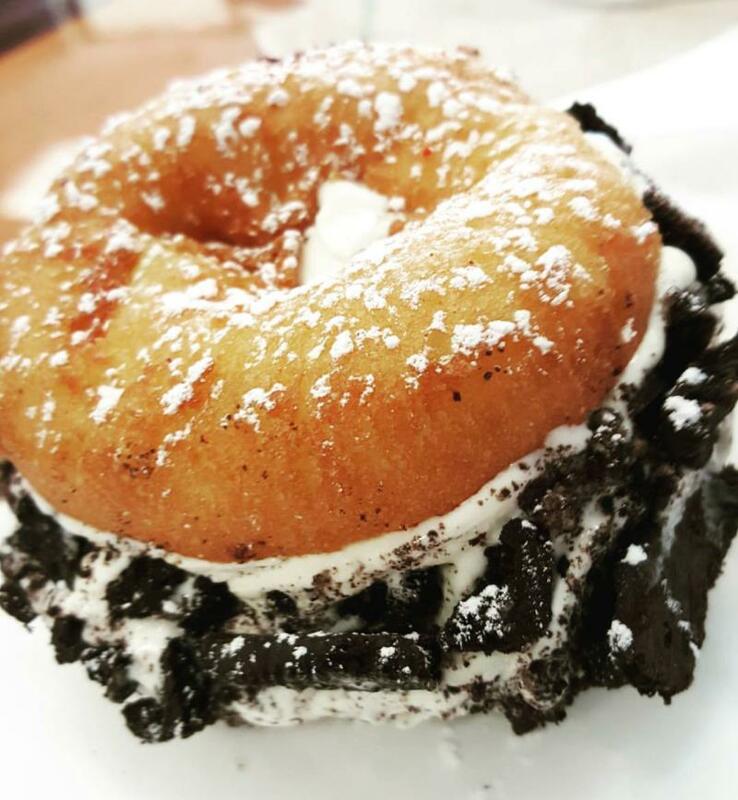 Take it to the next level by ordering a donut ice cream sandwich, where they split a warm cake donut in half and fill it with their homemade custard. Amazing. 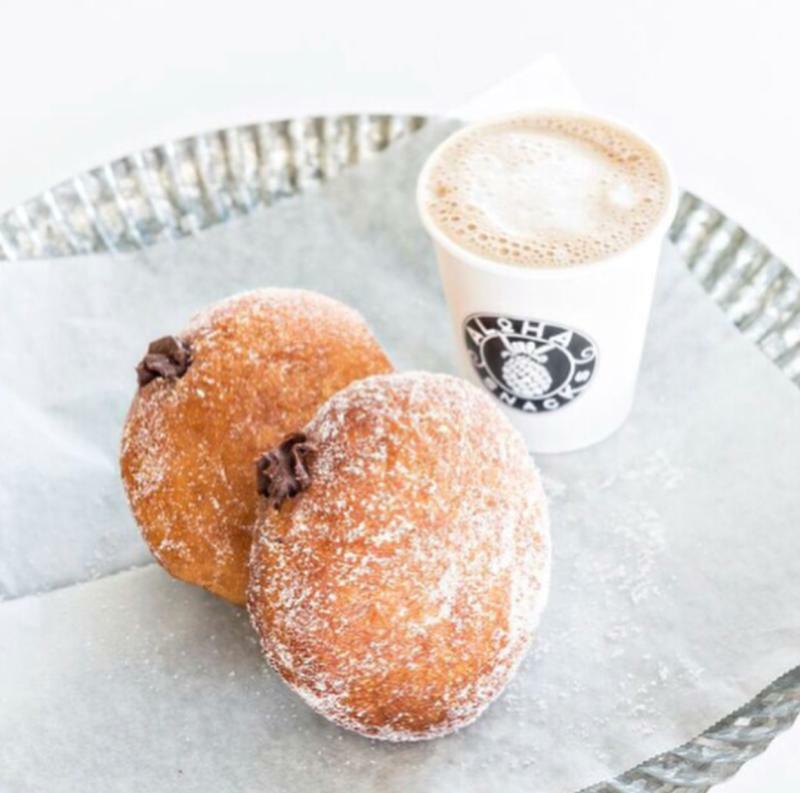 While not a traditional donut joint, Aloha Snacks’ Malasadas make this spot a must-try on your donut day conquest. Malasadas are a Portuguese donut that consists of deep-fried dough dipped in granulated sugar, and Aloha Snacks offers a choice of chocolate, pineapple, or coconut haupia fillings. We like to stick with the Hawaiian vibes with the coconut haupia, a play on the traditional coconut-milk based Hawaiian dessert. There may be nothing better than made-to-order cake donuts. Locally-owned Crazy Good Donuts and Ice Cream is a must-visit for any donut lover. Although donuts are traditionally considered morning fare, this shop is dishing out these sweet eats from dusk until dawn. For an insanely good nighttime treat, try a strawberry cheesecake donut sundae, complete with whipped cream and a cherry. 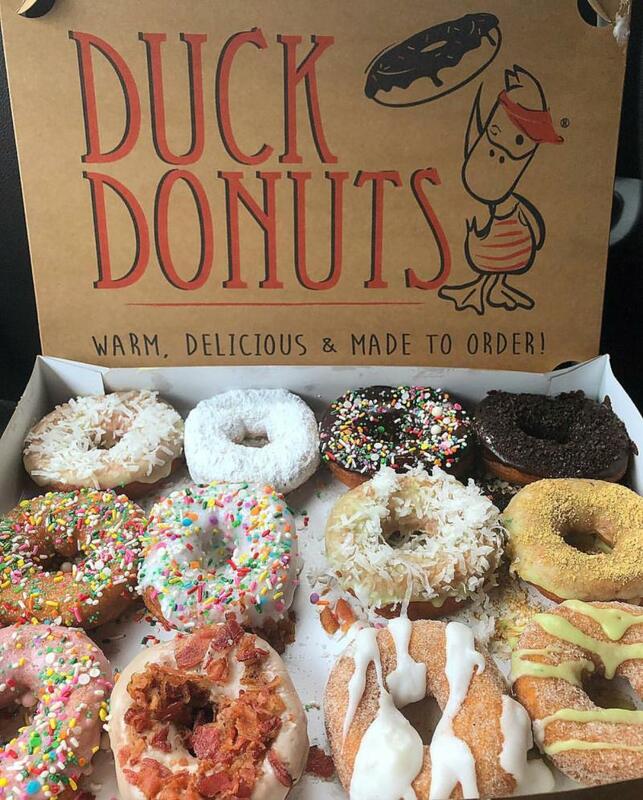 If you’re looking for a little savory with your morning sweetness, you can’t miss Duck Donuts and their popular maple icing covered in delicious bacon. 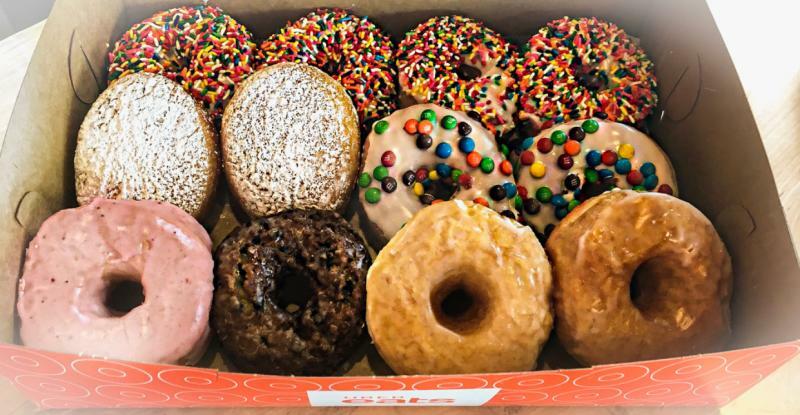 Originally hailing from Duck, North Carolina, and since setting up shop in Virginia Beach, Duck Donuts makes made-to-order cake donuts that melt in your mouth. Sugar Shack uses only fresh fruit and other ingredients in making their hand-rolled, small-batch donuts. More importantly, however, these donuts are deliciously creative and addicting. With flavors like Caramel Macchiato, Samoa, and Honey Lavender, a dozen of these donuts will keep you on your toes.